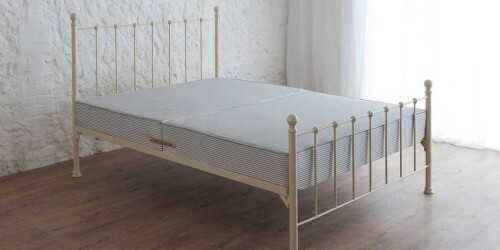 Non-Sprung Bed Bases | Wrought Iron & Brass Beds Co.
Offering head to toe support, our non-sprung bed base. 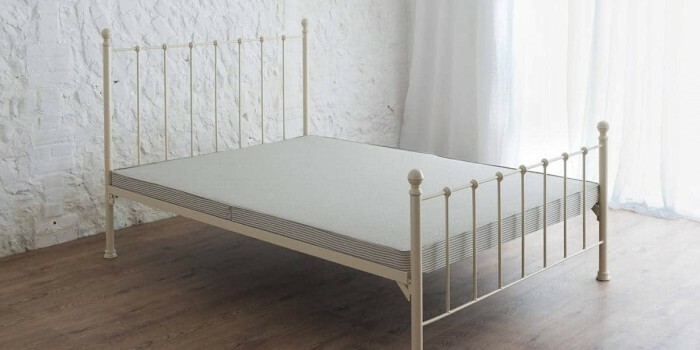 Shall bring a new level of comfort, to your hand crafted wrought iron bed. Providing a firm foundation for your mattress springs to sit. This hard top base optimises support and allows you to discover a perfect night sleep. Note: Our side rails are placed 13” from the floor, so a 4” bed base will add on 4 inches of height to where your mattress will sit. If you would like to lower your side rails, please call us to place your order and we can discuss your options.